Operating every Tuesday, Wednesday, Thursday, and Saturday, your day starts with a visit to Tijuana, where a guide takes you on a sightseeing tour of the area. Next up is Puerto Nuevo, a lobster village and fishing pos, where you’ll chow down on Puerto Nuevo style lobster rolls and margaritas. Enjoy a mariachi serenade, then travel to Rosarito Beach before taking the scenic route back to San Diego. All guests must have a passport. Operates on Tuesday, Wednesday, Thursday, and Saturdays. A Baja lobster meal at an oceanfront restaurant is included. Follow a local guide around the area. The Grand Baja Tour is also known as the "Baja Lobster Tour" and operates every Tuesday, Wednesday, Thursday, and Saturdays. 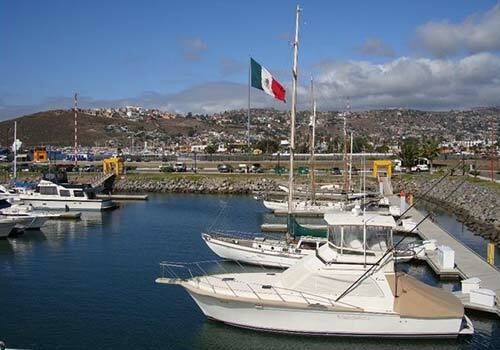 In our Baja Mexico Grand Tour, your adventure begins as we cross into Mexico and visit Tijuana, the fourth largest city in Mexico. We will go on a cultural sightseeing tour of the area with stops at the Cultural Center, the Tijuana Bullring, the Tijuana Zoo, the Tijuana Tower and then time for some shopping along Avenida Revolution. This street is the main shopping Mecca south of the border with more than 400 different types of shops that will entice you to bargain like the locals for your Mexican curios. Then it's off to Puerto Nuevo Lobster Village, once a small fisherman town, it is now home to over 50 different restaurants offering the specialty of the house, Puerto Nuevo style lobster meals. This lobster meal is a Pacific Ocean Lobster deep fried to perfection, served with unlimited rice, beans, and a welcome Margarita! After lunch (included) enjoy some time to relax along the Pacific Ocean as Mariachis serenade you. After this memorial experience, we will travel to Rosarito Beach which was once the Mexican Hollywood during the 1920's. Now it is a blooming beachside community with endless opportunities to visit the beach, go horseback riding or ATV riding along the sandy beaches. 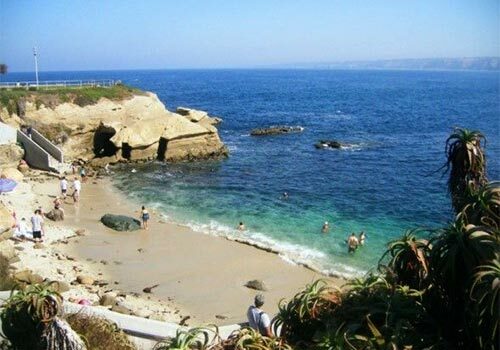 After Rosarito Beach, we'll travel back to San Diego on a scenic road. All US Citizens must have proper identification to return back to the USA. A passport, passport card or valid documentation is required to return to the USA. For Non-US Citizens, please consult with your embassy. 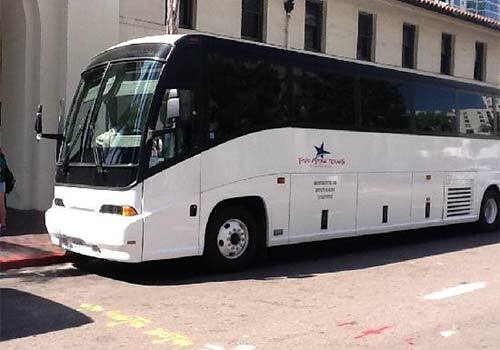 Tours Depart Every Tuesday, Wednesday, Thursday, and Saturdays. NOTE: Our normal wait time to return to the USA is about 1 to 1.5 hours. Yes. Guests are treated to a Baja lobster lunch which includes Pacific Ocean Lobster deep fried to perfection, served with unlimited rice, beans, and a welcome Margarita!